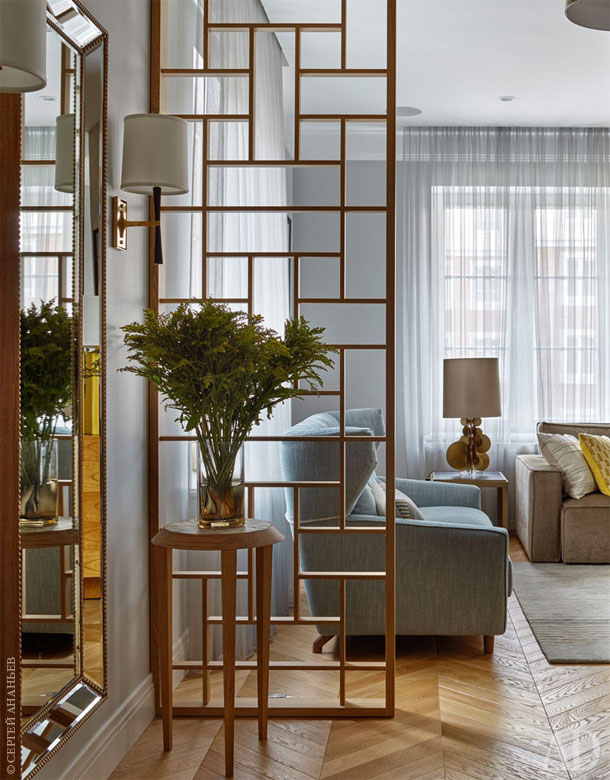 Are you a fan of following the latest décor and interior style trends but find it difficult to incorporate design ideas suggested by home décor magazines and interior designers? Following interior design trends can be a challenging task because they keep on changing. So why not opt for something that never goes out of fashion and yet gives your home a trendy look. Unlike some design trends, a contemporary take on the very distinctive mid-century modern style is always en pointe. But it takes a little more than just popping over to the nearest thrift store and buying a couple of Barcelona chairs and a retro coffee table to recreate this look in your home. 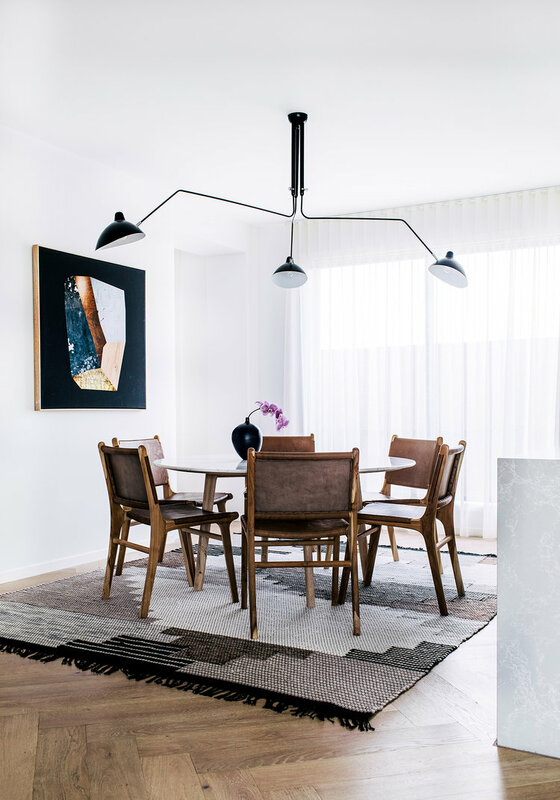 In this article, our guest contributor Jane has put together a few tips on how to give your home a mid-century modern makeover! The best way to achieve a mid- century modern look in your home is by using wood. Lots of it! 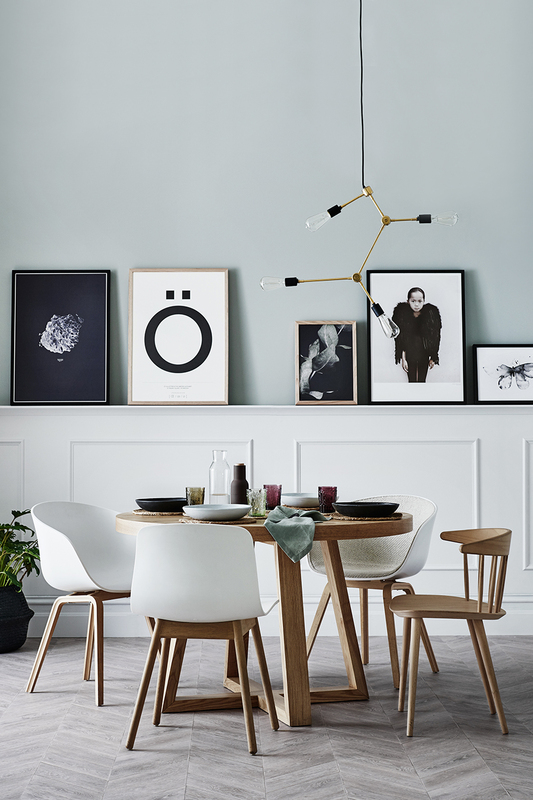 Sleek light coloured or rather blonde wooden furniture, accessories and feature walls create that natural and textural feel that is at the very heart of mid-century modern design. Mid-century modern style is about striking a balance between a minimalist approach and statement pieces. Sometimes it is the simplest things that adds a wow factor to your living space. Use large abstract art pieces instead of cluttering your wall with smaller art works to create that distinctive mid-century modern vibe. Mid-century modern style is more about having a white on white design theme, but there are no set rules to achieving that look. You can get creative by adding glamour to your walls by using retro wallpaper to create a modern bespoke look or rely on good ol' painted stencils! Painting your walls white highlights the shade, grain, fine lines and curves of your mid-century modern wooden furniture making it standout. Lightning fixtures such as chandeliers and unique pendants can add a wow factor to your home décor. Visit thrift stores or warehouses and keep an eye out for tall floor lamps or unique sputnik chandeliers made of wood or metal to enhance your mid-century modern room décor. 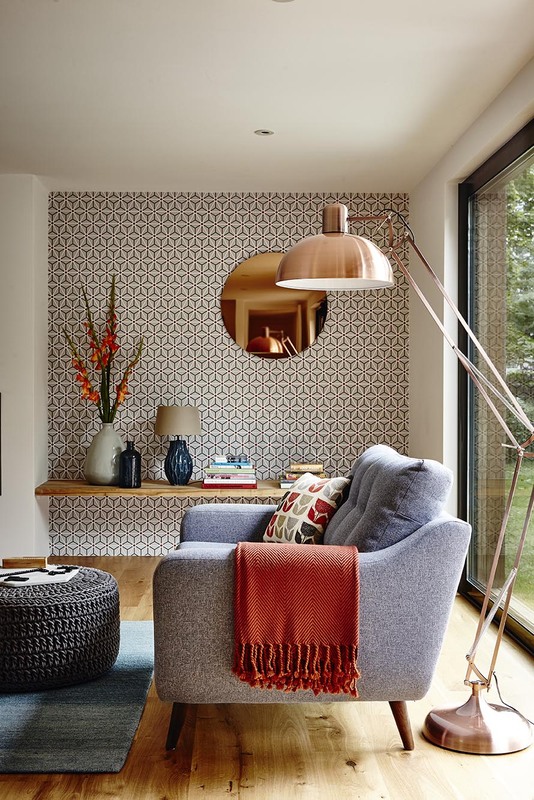 So there you have it, five easy ways to recreate a mid-century modern look in your home. Do you have a mid-century modern vibe in your home? What's your go to tip to recreate this design style? Share with us in the comments below. Till next time... add a touch of mid-century modern design style to your home! Jane Harper is a young woman who loves interior designing and home decor. She is passionate about new trends and fashion forward home décor ideas. She regularly posts at EMFURN.com.